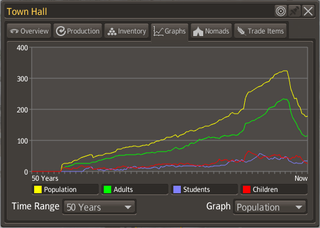 This is what a population die-off in Banished looks like. This is what a population die-off in Banished looks like. I'm sure you can feel my despair as I rapidly attempt to resolve the situation. Trying times for the next TAYville indeed.